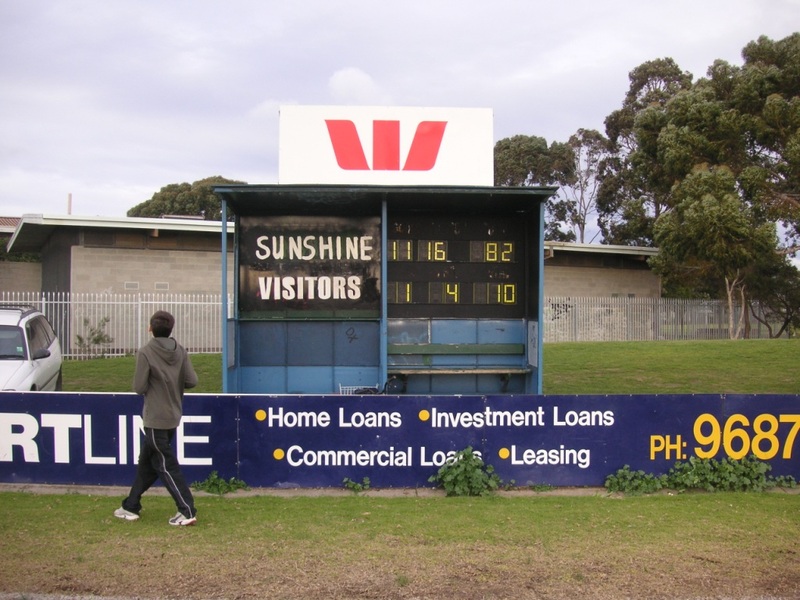 A converted bus-shelter makes a more than adequate scoreboard for the Sunshine Kangaroos, one of many clubs in Melbourne’s western suburbs. The club formed in 1959 and was originally known as Sunshine YCW (Young Christian Workers). The juniors have won many flags over the years, including the Under 19 1966 team, whose team-photo describes them as Our Lady’s Youth Centre Football Club. The home ground is at Kinder Smith Reserve, behind Caroline Chisolm College. The photo was taken at half-time on a windy day in July 2010, with Sunshine well in control of its game against Glenorden.